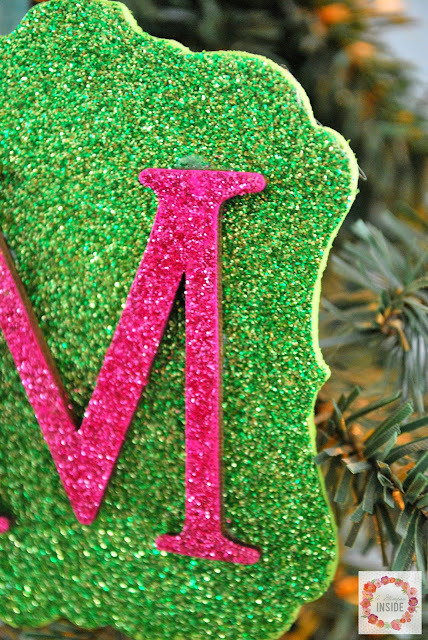 Begin by giving the wood pieces a coat of paint in the same colors, or close, to the color glitter you will be using. 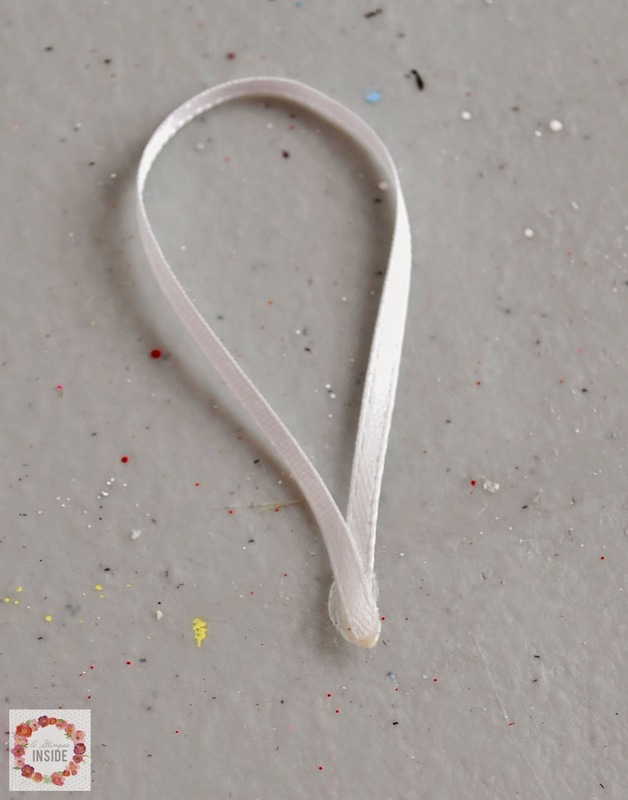 While your paint is drying, cut a small piece of ribbon and create a loop by using hot glue on the ends. 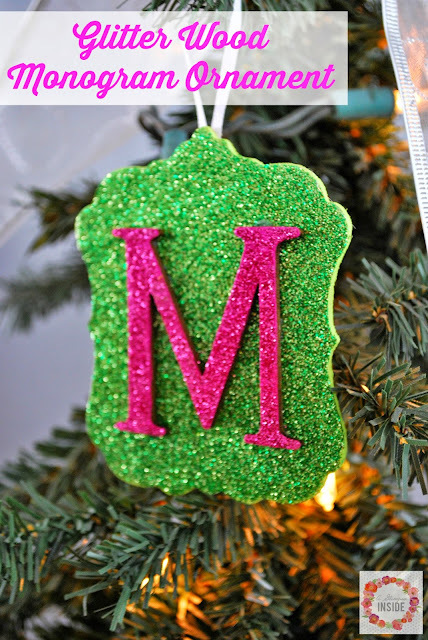 This will be how you will hang the ornament. 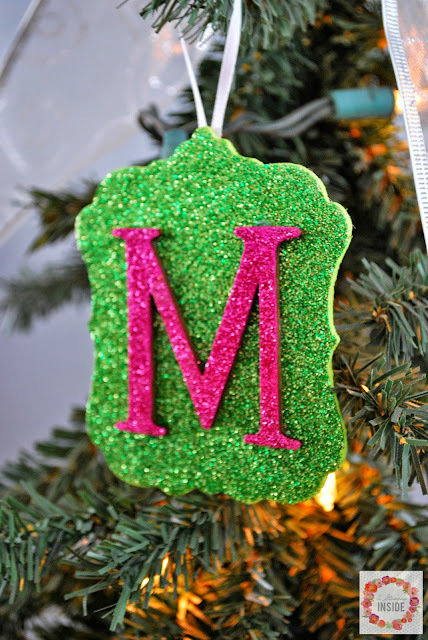 Once the paint is dry, coat the letter and plaque in glitter glue and sprinkle the glitter onto each. 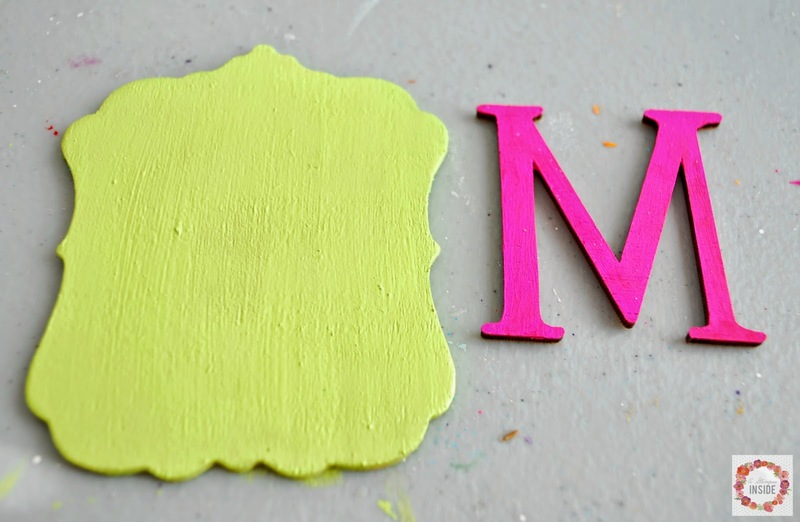 Let dry and then use .... glue to glue the pieces together. 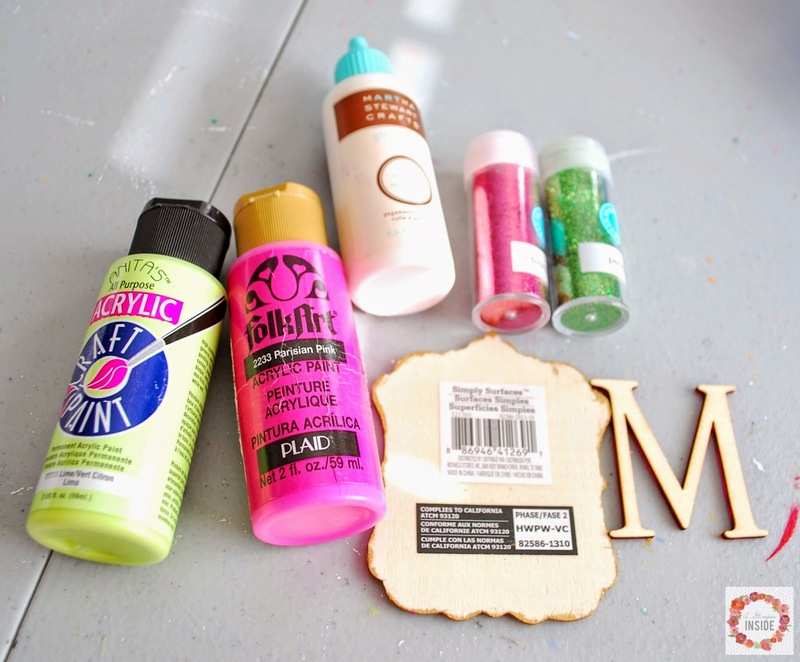 Place something heavy on top and let dry to make sure they glue together because the glitter can cause some problems. Ho glue the ribbon loop in the center of the back and it is ready to hang! I am starting to bring in some non traditional colors at Christmas so I chose to do hot pink and bright green but you can do any color combo you want. I love how it came out and it was so fast, easy, and cheap too! Can't go wrong with little handmade touches! 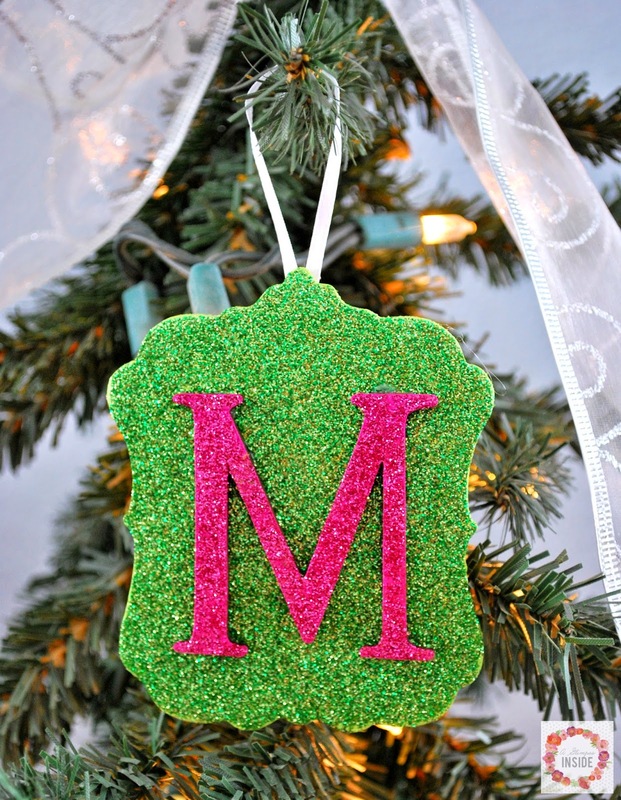 Check out the other handmade ornaments from my fellow Creative Buzz friends. Super cute and pretty too!